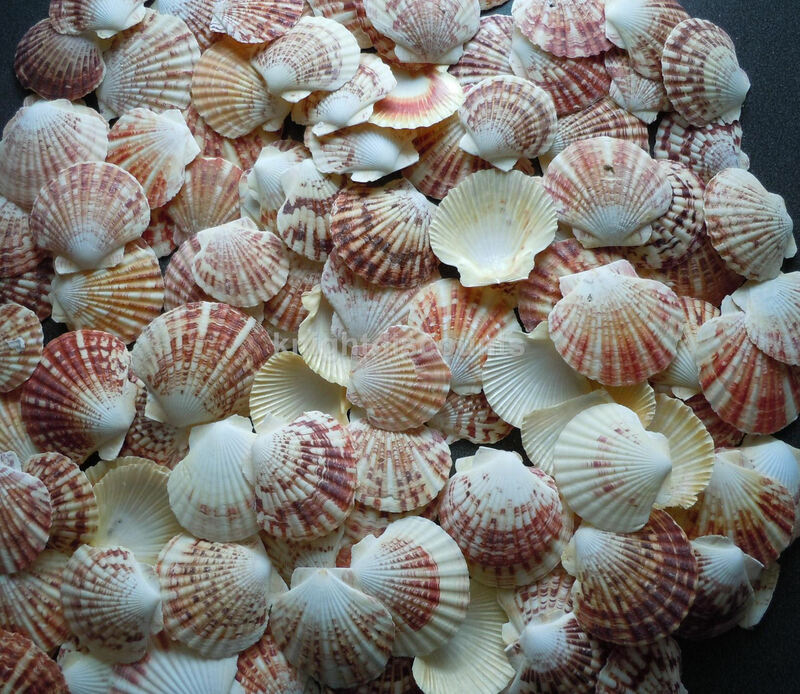 These seashells are wonderful craft supplies. They're great mosaic supplies, or create your own wind chimes, adorn picture frames or simply set them in baskets around the house. They're perfect luau or beach theme party decorations. Fill glass jars with sand art and glue some Pecten Macarensis seashells to the lids as beautiful DIY home décor. 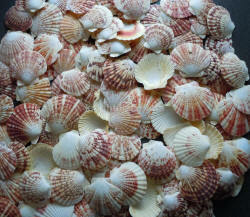 These seashells are gorgeous! Natural seashells, size and color may vary. Approximately 55 shells per order (15oz). These are real seashells, some breakage & imperfections are normal. Size and color may vary. Each shells measures about 1 1/2" - 2 3/4".